The formation of the palm Jumeirah began in 2001, the island is in the shape of a palm tree topped with a crescent it was created by Nakheel a Dubai government owned company and was designed and developed by HHCP architects. 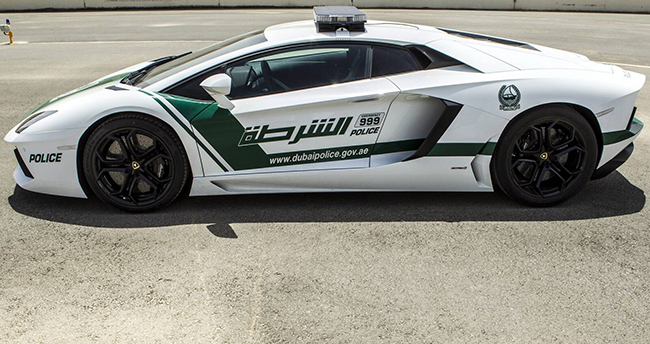 It is one of the top luxury places, along with the marina and JBR to live and visit in Dubai. The island is 5km by 5km and adds 78km to the Dubai coastline. The island is a man made island which took almost 5years to put together and by the end of 2006, residents were starting to move in! The palm today hosts many hotels, residents who mostly reside in villas, one can now also rent a villa for tourism purposes on the palm. A few of the hotels are; the Fairmont, which hosts 3 different restaurants and also a variety of night venues,the Waldorf Astoria, which hosts a variety of restaurants, bars and lounges, including the fine dining of the Heinz Beck, the Anatara resort and spa, the famous Rixos, and last but not least, although this hotel deserves a section of it’s own, being a part of the palm one must be in accordance, The Atlantis the palm. 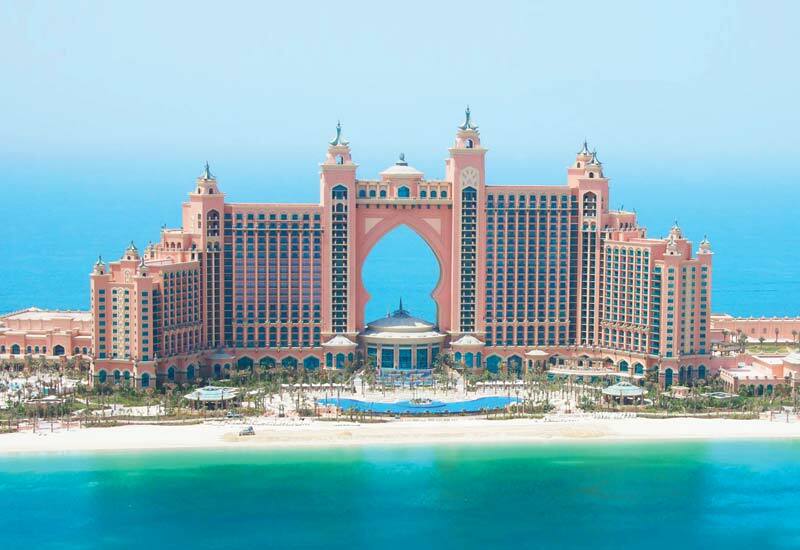 The Atlantis is a 5 star hotel with a water park for residents to enjoy, as well as attracting the general public, the Atlantis water park is a must go to! With it’s own 800 meter long private beach for residents to enjoy, the hotel shows a beautiful view of the Arabian gulf, also hosting a underwater aquarium and the opportunity to swim with dolphins, Atlantis has it all and is definitely worth a visit if you can’t stretch your bed get to stay there! There is also a Chinese and Japanese with Arabic infused and influenced restaurant within the hotel, along with many little gift stalls and ice cream shops and recently a new trend is a gold ATM machine! 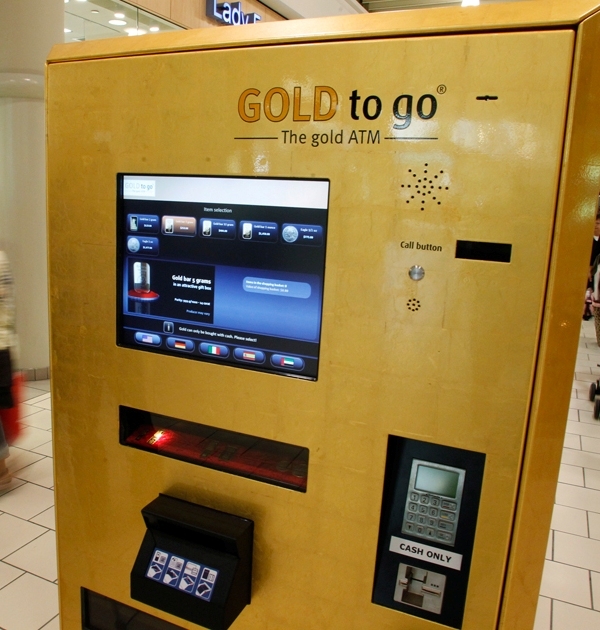 Instead of a card you insert cash and instead of money you take out gold! Going back to the palm Jumeriah In general, It is a hot spot and attraction for many celebs, although it is aside and by the coast, it has all the amenities one would require. It has a rand of restaurants, lounges, bars, a music hall, all sorts of events kick off on the palm, including concerts, the Middle East break dancing finals were held on the palm earlier this year and we now have Amsterdam’s super club! The palm also hosts Al Etihad park to add some greenery and nature, with all sorts of trees and plants to make the environment more natural. The palm also has many medical clinics and spas, rest assure, you won’t ever want to leave this beautiful island! !